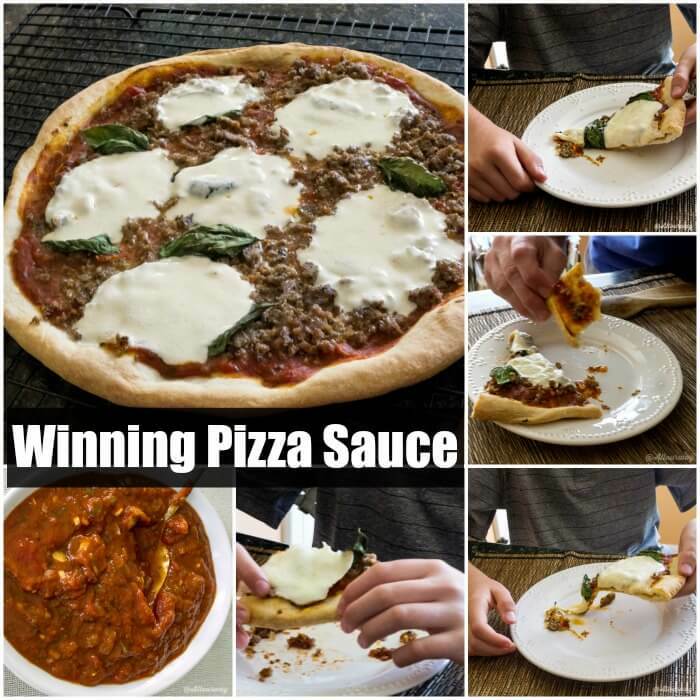 If you believe that making a winning pizza sauce is hard or time-consuming, I’m here to prove you wrong. Now I know how easy it is to toss one of those cans or jars of runny red tomato pizza sauce into your grocery cart, I’ve been there. I’ve done that quite a few times. In fact, I would normally have a can in the pantry — just in case we were out of our No-Cook Pizza Sauce. Sure enough, one Saturday when we needed our pizza sauce, we were out of not only our homemade pizza sauce but the standby in the pantry. Well, what were we going to do? We were expecting our youngest son, wife and two boys to stop by for a visit. Whenever we’re able to get together with our kids and grandkids, it’s a time to celebrate. And in typical Italian fashion, we wanted to feed them. 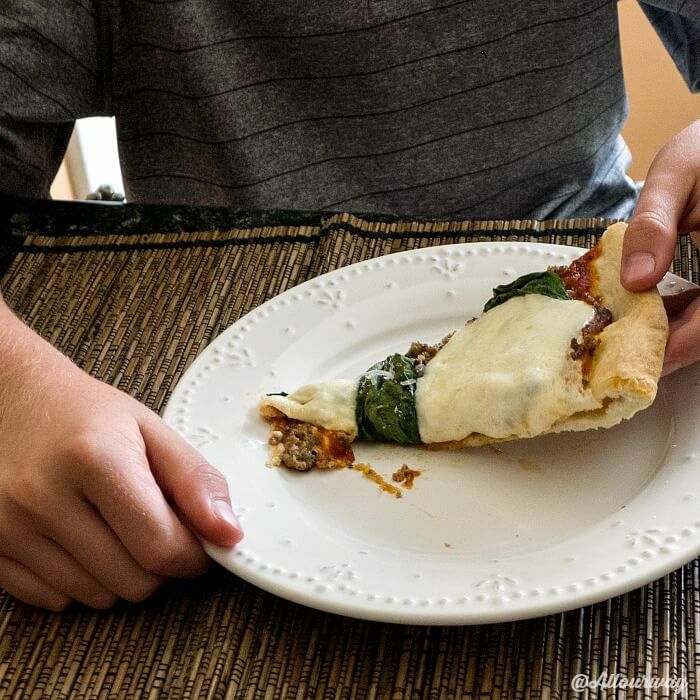 This time, it was going to be pizza made with our homemade Perfect Crispy Pizza Crust. We didn’t have much time, so we decided to whip up a batch of pizza sauce. We also didn’t have the right ingredients for our usual homemade sauce, so we decided to try something different. Unfortunately, the new recipe needed fresh basil, and our basil plants were not quite ready to cut. Not to worry, though, we had it covered. We had basil cubes. What are basil cubes? They are basil leaves that we pulse in the food processor, spoon into oil-sprayed ice cube trays and then freeze. Once frozen we pop them out of the tray and save them in freezer bags. Basil cubes come in handy in the dead of winter. 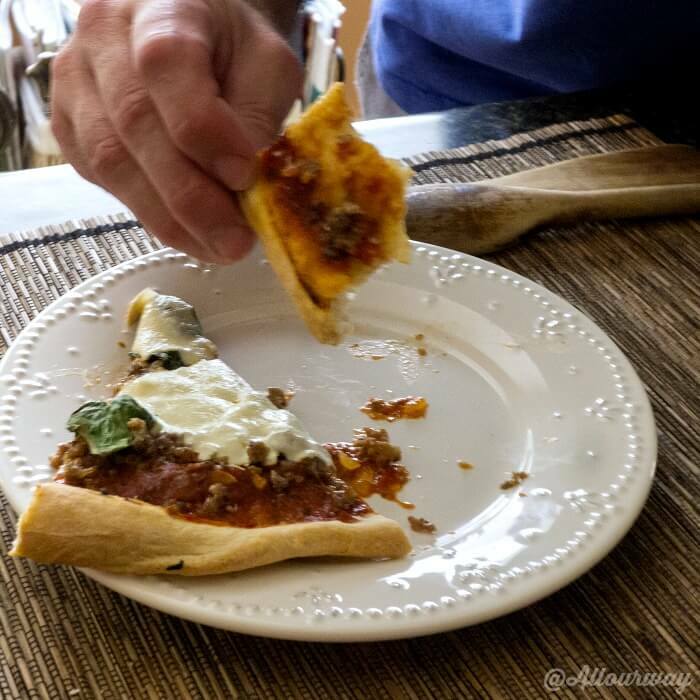 So, in no time at all, we had the pizza sauce done, the pizza dough ready to stretch, the fresh mozzarella sliced, the sausage (oldest grandson’s request) fried and ready to go. Now it was just a matter of assembling the pizza and sticking it in the oven. Once the pizza was done and served, the sighs of appreciation and “yums” were music to our ears. Our son and oldest grandson were enjoying each bite of their pizza. The little guy, 13 months old, wasn’t quite up to eating pizza just yet. We’ll give him a few more months. Yes indeed! Our expert pizza eaters were giving it the quality taste test, and the way the pizza was going down, I would say the recipe for the pizza sauce was a keeper. The sauce was the only difference between this pizza and the last one we made. 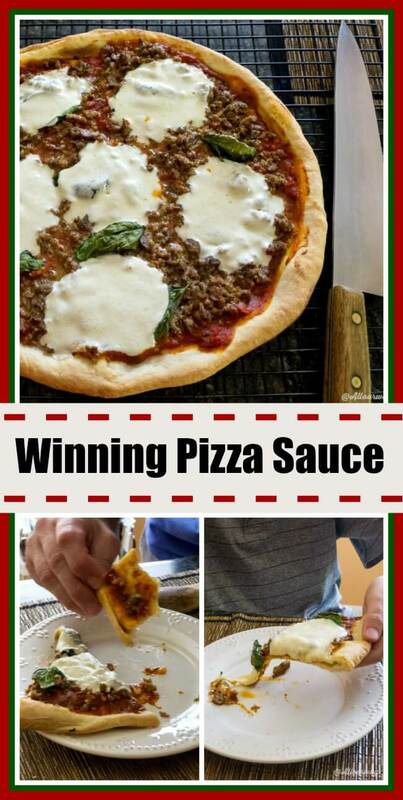 Conclusion – Winning Pizza Sauce is the best! As a result of not having any of our old pizza sauce prepared or the standby, we discovered a great new version. Everyone in the family, including our daughter-in-law, once she was able to have a slice, agreed that this is “THE BEST.”. Since they gave it their seal of approval, this pizza sauce recipe is a keeper — a real winning pizza sauce. Try it, and I’m sure you’ll agree. 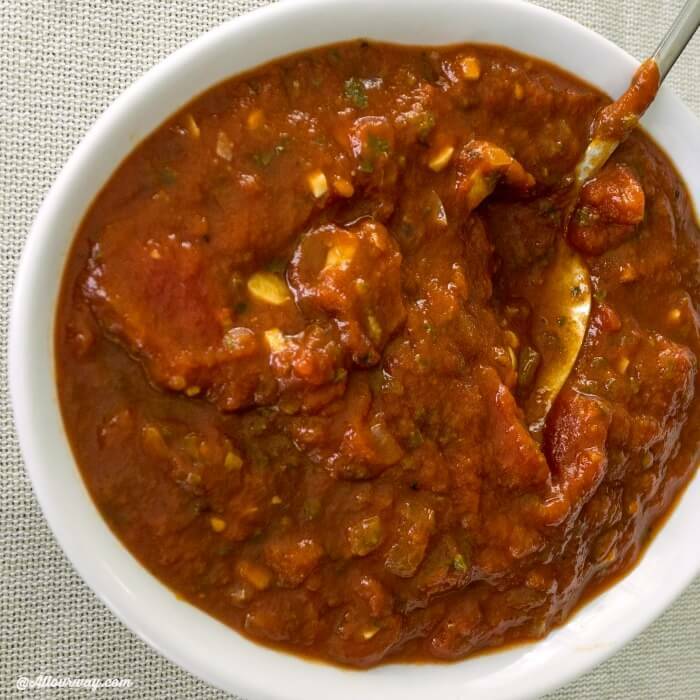 A rich thick pizza sauce that is easy to make, uses quality ingredients and is full of tomato and fresh herb flavor. In saucepan saute onion and garlic in olive oil until tender. Simmer for 30 minutes or more for a thick consistency. ** basil cubes are fresh basil leaves we pulsed in the food processor and froze in oil sprayed ice cube trays. Once the basil freezes we put the cubes in a freezer bag and use them as needed. There is enough sauce to make 3-4 12 inch pizzas depending on how much sauce you like on the pizza. Note: Recipes and content from ©All Our Way are copyright protected. Please do not use content or recipe without prior written permission. If you want to share the information, please link to this post. Grazie. wow I love this and cant wait to try your version. I make so much pizza I am surprised I don’t look like one! I love this! 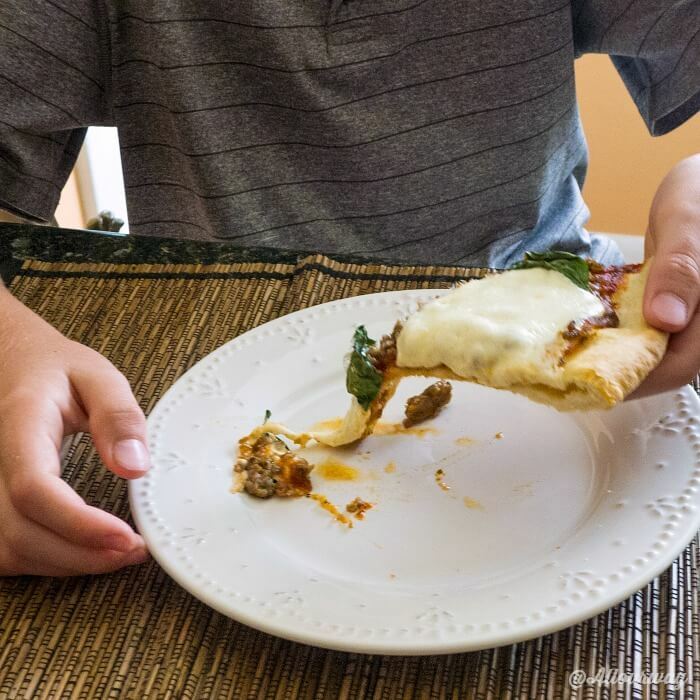 We always make homemade pizza…in fact I think there’s one left in our freezer right now! Can’t wait to try your sauce. Love how simple it is to put together. It’s only 8am and I want a slice! That sauce sounds wonderful and I love the idea of basil cubes! My basil is just about to die so I’m going to go recover as many leaves as I can and use your tip! We only eat homemade pizza here. It something my kids enjoy most. Yup, I live off frozen basil cubes in the freezer too. Basil has such a short life that by a day or two it’s unusable. This sounds so good Marisa. 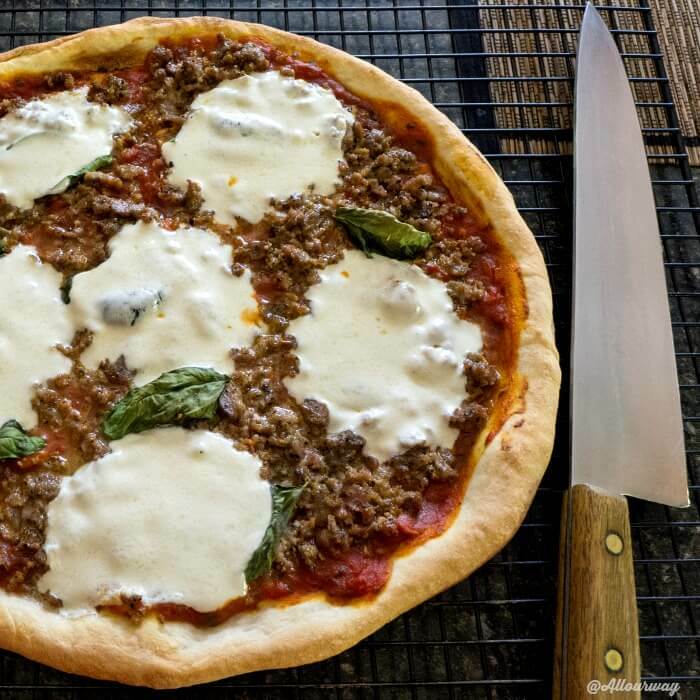 I love how to put the mozzarella – I usually grate mine – this looks more authentic Italiano. Wow…this would be perfect to make with my tomatoes from the freezer. Homemade sauce…and homemade pizza is the BEST!! This would be perfect to whip up on the weekend when the kids come over for dinner. I know I would have to make LOTS…they like to take leftovers home with them. I never cook my pizza sauce either. No need, it cooks in the oven on the pizza. I like your idea for the basil cubes. Pizza looks amazing. Basil cubes are great! If you have extra basil put it in the processor zap it and then put them in ice cube trays. Hope you had a great weekend. This pizza looks SO mouthwatering that I had to go to the kitchen and grab a snack! And wow, I love the idea of basil cubes! 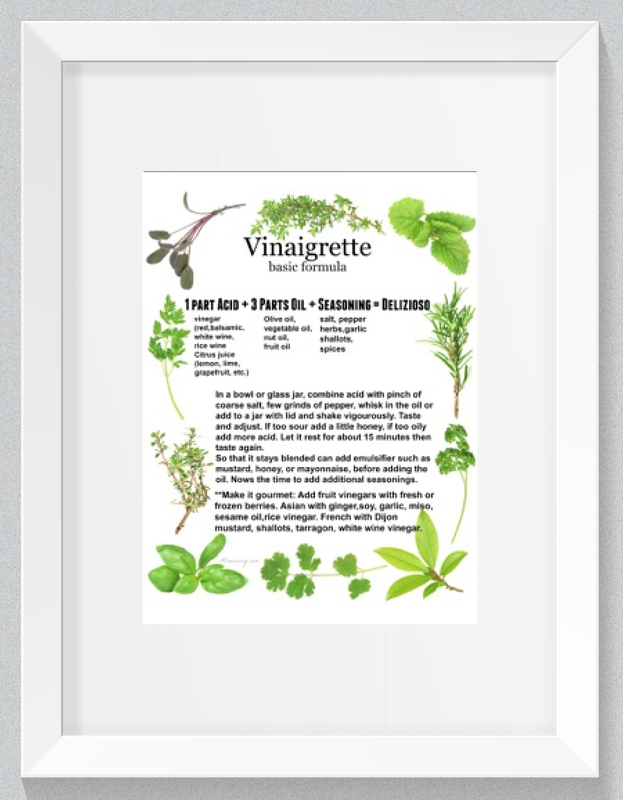 Having fresh basil available on demand sounds wonderful, thanks so much for sharing this great trick, Marisa! You’re welcome Nicole. The cubes are super handy in winter. Oh my gosh, now you are making me want Pizza! Looks amazing, this I am going to try on Pizza night. Thanks Marisa, great recipe. Thank you Rosemary!! I wish I could come over to your house for dessert!! I have never made pizza sauce and I’ve never even seen basil cubes. You are an inspiration my friend! Hi Susie! You’re welcome. Let me know how the munchkins like it. The sauce is important and we realized it once we tasted our pizza compared to the ones in the past. Un abbraccio e buona serata! Homemade pizza sauce a must for really good pizza. Love your recipe. Definitely going on my next pizza. Thank you Jovina! I agree with homemade pizza needs a homemade sauce even though I have cheated in the past :-(. Just in time! 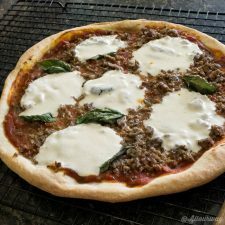 I’ve been looking for a good pizza sauce recipe for some time! Thanks for the post! My pleasure, Diane! BTW, what’s your favorite topping on pizza? I will eat almost anything on a pizza—-even anchovies! What I don’t tolerate are some of these California pizza recipes with ham and pineapple—-YUK!!! I am much more of a traditionalist when it comes to pizza.